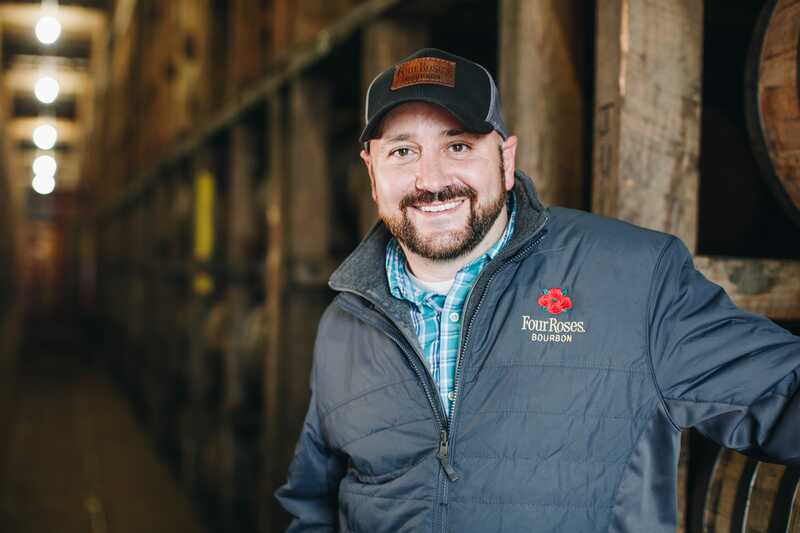 We took some time to sit down with Brent Brey, Maintenance Manager at our Warehouse & Bottling Facility in Cox’s Creek, Kentucky, for an inside look at his role with Four Roses. Brent began his career in maintenance at Four Roses in January 2013 and was quickly promoted to Maintenance Manager soon thereafter. 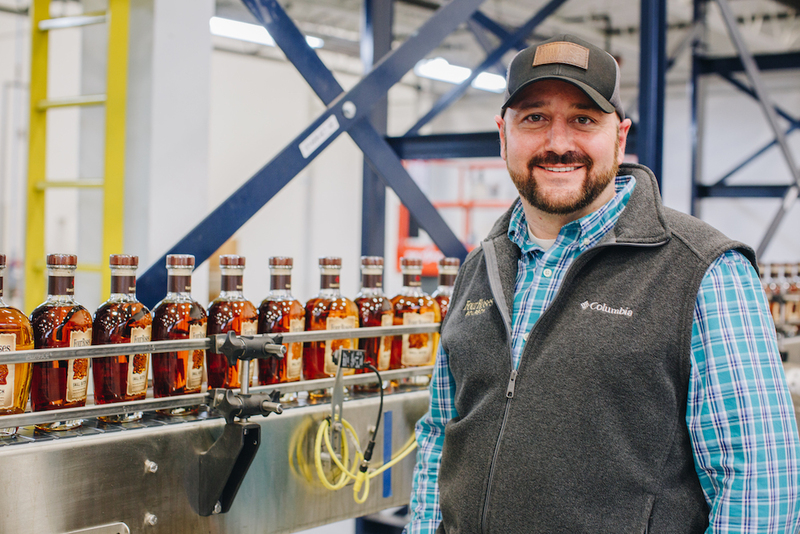 During his six years with the company, the maintenance department has evolved from just one maintenance employee to a team of five, to accommodate the growth of Four Roses. Four Roses has had many updates over the years to adapt to the growing market, including increasing Bourbon production. 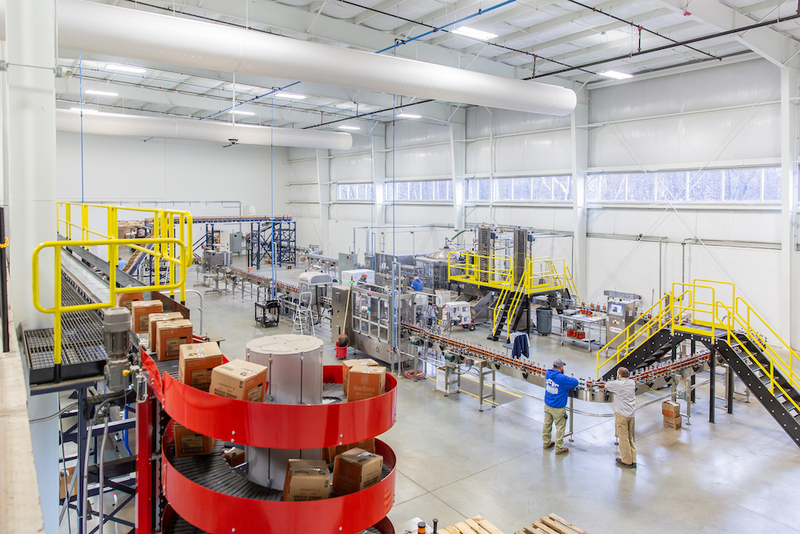 As Maintenance Manager, Brent served as the leader on the Four Roses bottling expansion project resulting in the grand opening of the newly-renovated, 60,000-square-foot Bottling Facility in June 2017. 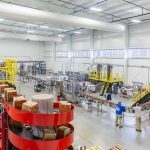 He also leads current and future warehouse expansions, including the opening of Warehouse X, which was celebrated in November 2018 and serves as the first Four Roses warehouse to be built since 1960. 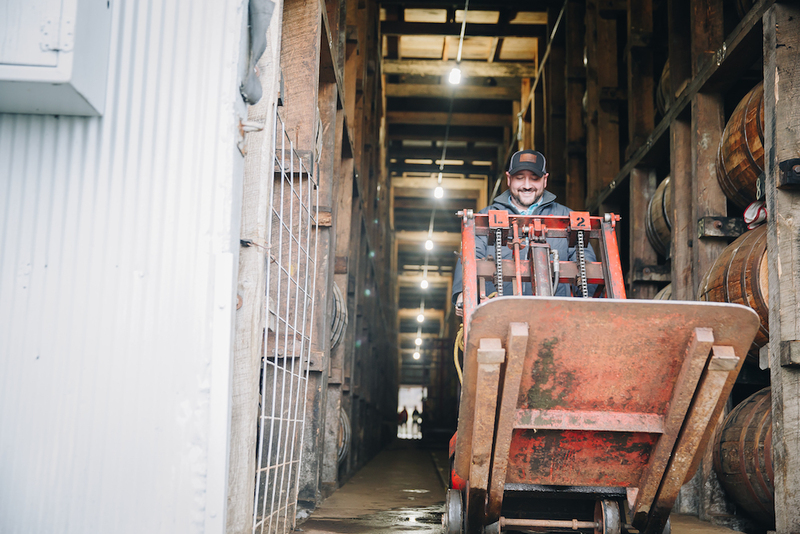 What else does the Four Roses Maintenance Manager do? Well, a little bit of everything. Take a look at what Brent had to say. What roles and responsibilities do you hold as Maintenance Manager? 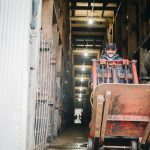 When my role as Maintenance Manager began at Four Roses, I immediately started working on the bottling expansion project with John Rhea and Corey Ballard. As you can imagine, there was a lot involved in that project. One of my favorite aspects of the project was working on the processing automation, which was all completed in-house by the Four Roses maintenance team. Outside of expansion projects, I also manage the day-to-day operations of the Warehouse & Bottling Facility in Cox’s Creek. I oversee an amazing maintenance team of five employees and work directly with the bottling manager and warehousing manager on a variety of different projects. What are a few things we might find you doing during a typical day on the job? 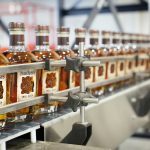 On a typical day, you could likely find me coordinating changes on the bottling line, working with the quality control team on things like glass and labels for bottling, managing the budget for the Warehouse & Bottling Facility, or participating in capital projects including modifications to the Four Roses facilities in Cox’s Creek or modifications to our Bourbon processing. Where did you find your passion to work in this industry? This industry makes it very easy to be passionate about my job. 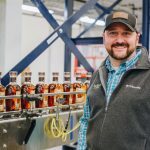 I come from an industrial and electrical maintenance background, having worked for my father’s electric company for several years before the start of my career at Four Roses. 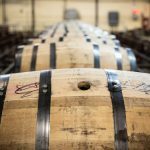 I did a lot of work for Four Roses while in my previous job and began to realize what a unique and tight-knit community the Bourbon industry is­­—the family atmosphere is huge. Throughout my years at Four Roses, my passion for the industry has grown. Just being here, and seeing how we handcraft our Bourbon, has helped me to take pride in what Four Roses can do. 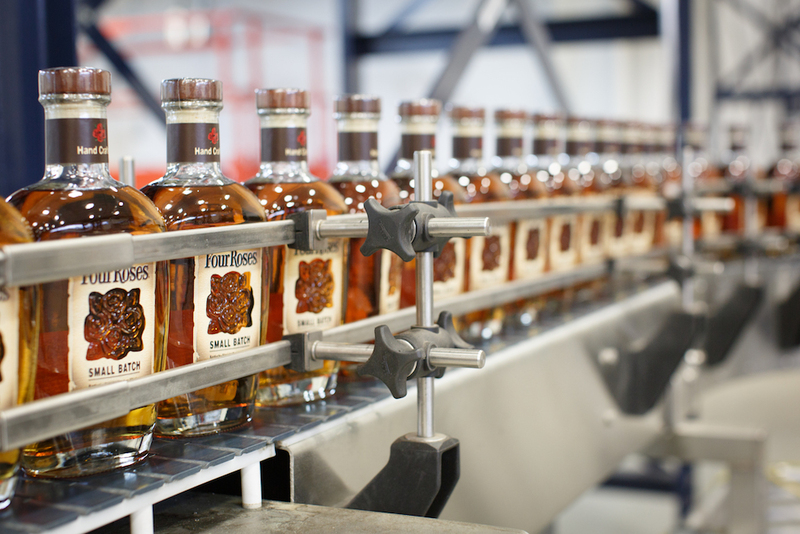 We just make a really great Bourbon. I am honored that Four Roses has allowed me the privilege to be involved in a variety of projects and the freedom to share and expand on my ideas. I am able to have my hands in a lot of different things that I enjoy, and that’s not something you can find in every career. I am happy to have the opportunity to take on more responsibilities that help me to learn, grow, and take pride in my work. What can someone expect to see on a tour of the Warehouse & Bottling Facility in Cox’s Creek? Guests will have the chance to take a first-hand look at our unique process of aging and bottling Bourbon. You’ll get to explore our Visitor Center, go inside one of our 21 warehouses, see our new state-of-the-art Bottling Facility, and taste our award-winning Bourbon. We encourage you to come out and visit us. You can book a tour on the Four Roses website, here. I look forward to working with my team and continuing to take part in the growth of Four Roses. We will have the opportunity to celebrate the completion of the Distillery expansion project in Lawrenceburg this spring, and Warehouse X is only the first of several new warehouses that we will be building at Cox’s Creek over the years. We have already experienced so much growth and change in my past six years here at Four Roses. I am excited to see where we will go in the next year, and beyond. Cheers to more Bourbon ahead! Do you prefer to enjoy Four Roses neat, on the rocks or in a cocktail? My personal favorite is a glass of Small Batch on the rocks.